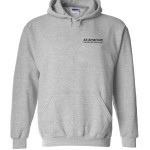 All American Dachshund Rescue Logo Hoodie / Long Sleeve T-Shirt Campaign! 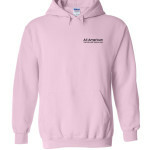 It's time to get your AADR logo hoodie for winter!! Funds are always needed for the care of rescued dachshunds! 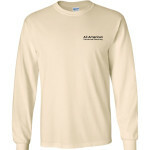 Please consider updating your hoodie / long-sleeve t-shirt wardrobe with one of our awesome logo shirts! Not only will you get a high quality shirt but you will be publicizing this great rescue! We have kept the prices the same as we have offered in the previous campaigns! Orders will ship within 10 business days of this fundraiser ending on 12/09. Thank you in advance for supporting this fundraising event for the All American Dachshund Rescue (AADR). 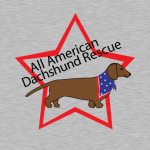 The AADR is always in need of funds to subsidize the care of dachshunds when rescued. We rescue dachshunds from all types of situations. They come from shelters, owner surrenders, strays... And the AADR takes them in and gives them all the necessary veterinary care, places them in a loving foster home in preparation for finding them their forever home. Many stay at the Halfway House in Lewisburg TN while receiving their veterinary care. The care can include a spay/neuter, dental surgery and all inoculations. The Halfway House needs funding to pay the electric and water bills. All of this costs money. 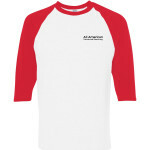 Money we look to our supporters for by way of fundraising campaigns. I hope you will purchase a hoodie or long-sleeve t-shirt (or two) and at the same time, help these doxies find their forever homes. 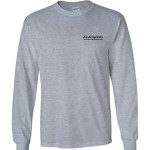 Share Why You Support All American Dachshund Rescue Logo Hoodie / Long Sleeve T-Shirt Campaign! I help transport sometimes and love to support good causes!